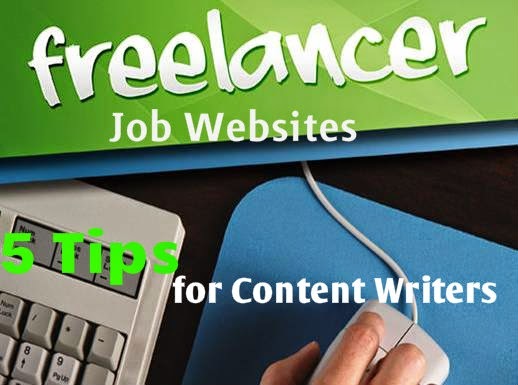 Making Money Working from Home- How to Earn Online via Freelancing Content Writing Jobs on Freelance Websites. If you have a passion for any kind of topic then there is a real potential for you to make money by blogging on freelance websites. There are many freelance content writing websites for bloggers, like eHow, Hub Pages, etc that are Known to be more than willing to pay freelancer writers like yourself for their own blogging content. Find here a list of top 10 content writing websites for bloggers. Though, if you are a regular blogger then there are many ways to make good money out of it, like mentioned in this post - 5 means to make money blogging. Learn here about how to upgrade your blog creation or content writing skills . Though, writing for Gig based Websites is more like selling your content writing services to others as a professional seller and you have to be good at promoting your store and services very well unless you get some good number of initial sales and some positive reviews about your services. Though, if you are very dedicated and hard working you will find your way to success at micro job sites, like Fiverr and SEO Clerks, and iWriter.com where established writers are getting more than what they can really chew. 5 reasons why to join such freelance websites? No need to take the pain of designing, hosting, developing, and promoting a website. The freelance writing websites are already very much popular in Google searches. They are very well SEO optimized and have their own huge user base as your audience. No registration fees to join- no tension of any fraud or scamming. No problem with receiving payments. These freelancing websites for writers are 100% real, genuine, and trustworthy! Writing articles and blog posts on such websites is very useful for your own writing career growth and enhancing content writing skills via constant learning experience there. You learn from other community members and you develop your own portfolio as a professional content writer which could be help you getting any kind of writing assignments any where else! You may have already heard about how expert bloggers are turning micro blog sites into money making machines through niche targeting. Target groups rather than mass. Create content on your blog that mainly focuses on 2-5 related or interlinked niches. For example- Online advertising, online marketing, business promotion, SEO are some niches that are very closely related to each other and they don't disturb the balance of your main keywords in your entire blog posts! This way you can get huge number of regular readers and pretty awesome search engine traffic for your content. You have to think about who is more likely to read your work when posting things on freelance sites. Consider the ages or other characteristics of your possible readers and think about whether or not they might be interested in the things that you have to offer. You need to create content that is relevant to the people who are going to read your site so you will have a much easier time with giving yourself the credibility that you desire. You should also be very consistent when you work from home on a blog. You have to work with posts every other day if you have to, for instance. You might want to stay as consistent as possible by posting a regular series of posts on any site you are on so you will have more content to work with. Those who have more content are more likely to earn online than others. Of course, you also have to watch for how your content works to ensure that you'll have an easier time with what you desire. All freelance sites will want you to focus on unique materials. Don't assume that you can go from one freelancing page to another and post the same stuff every time. You have to be different and special with every single post you make. You might even have to use a program like Copyscape to see if your work is unique every time. Just use unique content every time you can and you will be just fine. You can't fool anyone with your spinned content anymore as the scanning tools are getting more powerful and these websites use powerful spam control system. Haven't you heard about Squidoo's tight content publishing rules? (now merged in Hubpages). The point is - don't try to over-smart any system. I hate preaching, but this is something very important: " Be honest, natural, and loyal towards your work. Don't be greedy or never listen to your friends who always talk about shortcuts or small time gains IF you want to be REAL successful writer in making money working online! " While you have the right to use whatever schedule you want when you work from home, you will have to be fully aware of how you are going to get your work done when doing so. Time management could be a hard thing to do when you are working from your home. You may easily miss your focus and targets while you are not under any liabilities and responsibilities. If you want to work from home then it is strongly recommended that you create a schedule for when you will make money blogging so you will get in a good routine that lets you do more and come up with plenty of smart ideas. The writing in you is made up of many things, some of the most important ones are- creativity, skills, talent, and ability to research and explore. People may be born with talent, but No one is born with in-built knowledge. You have to search, collect, and learn it. You should keep in mind that without researching and study of a topic you can't write well on any topic. Your content will lack the soul and spirit if you don't have good grip on the topic you are writing about. You will gain more credibility if you research your work when you trying to earn online. The thing about online money is that it involves more than just talking about what you know. It also involves making sure you can highlight your interest to other people while having enough resources to back up whatever you are saying. You will be more likely to profit if you have evidence to support your work. What is the most important suggestion you would like to share for the new fellow writers? Any ideas, tips that you think may add more values to any writer's work?